Teachers are provided curricula and teaching enhancements in a new “bays and estuaries” Teaching with the Stars teacher education unit filmed in Corpus Christi, Texas. In this preview, Dr. Larry McKinney, executive director of the Harte Research Institute for Gulf of Mexico Studies describes the productivity of estuaries and the ability of estuaries to cleanse the water of pollutants. This is a first look at the introduction to the new Stars teaching unit. 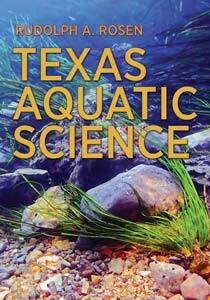 The unit was produced through a partnership between the Harte Research Institute at Texas A&M University – Corpus Christi, the Grosvenor Center for Geographic Education and The Meadows Center for Water and the Environment at Texas State University, and H2O – Headwaters to Oceans (https://www.water-texas.org ).